Hair Stylist - Ouidad Salon by Chadwick and Igor - CHADWICK AND IGOR CARING FOR YOUR CURLS™ Curly hair, Best Hair salon in Fort Lauderdale. The south Florida home for curls. Chadwick and Igor and their team provide expert, curly hair styling using the award-winning salon specially formulated for curly hair. we have a tier level system in our culture. -WHAT IS THE TITLE OF YOUR AUTOBIOGRAPHY? Chadwick Pendley is a recognized expert when it comes to the art of creating beautiful hair. His innate approach to hairstyling is solidly rooted in his precision cutting expertise and rich knowledge of state-of-the-art styling skills for all types of hair, from stick straight to uncontrollably curly. He constantly pushes the boundaries of his art. Chadwick is highly skilled in unique techniques that are special to curly hair. He initially trained as a Ouidad certified stylist at the Manhattan Ouidad Salon. His trainer was the founder and owner Ouidad herself, who is an internationally recognized stylist and known as the pioneer of the curly hair industry. Chadwick’s superb training in Ouidad’s trademarked cutting and styling techniques have enabled him to become Master Artistic Educator for the company. He is also able to travel to NYC and LA flagship salons to inspire, train, educate, and certify other stylists using the Ouidad Certification Process. -WHAT IS THE TITLE OF YOUR AUTOBIOGRAPHY? "And Once There Was A Lost Girl From Philly That Became A Rockstar Stylist"
From the Northeast, Amanda Luce is privy to the latest in hair fashion. Since she herself has fine, loose curly hair, she always took an interest in how to cut and style it. In fact, she loves curly hair since she thinks it’s unique. However, she also admits it can be a challenge to work with due to its typically coarse nature. 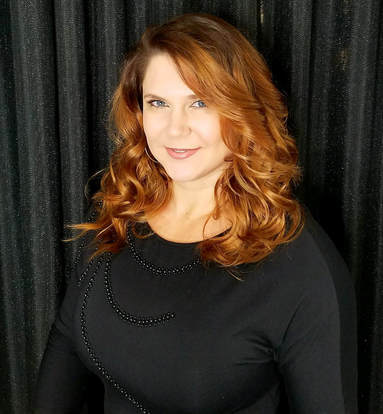 Amanda took her love of styling hair to the next step and became a Ouidad certified stylist in New York City at the Ouidad Flagship salon. There, she learned the latest techniques for making curly hair a desired fashion statement. Heels or Flats? : Heels! Not at work though! Embrace your beauty. There are no rules. Beauty is everywhere and everything. Be strong. Be yourself. Be free. Be beautiful. Eidi Mai felt instantly at home when she joined the Ouidad By Chadwick and Igor team. A Brazilian girl who has curls on her own loves to help bring out confidence in other individuals with natural curly hair. Her extensive knowledge of Ouidad product line instills in others confidence and trust. She always lay out a step by step plan to put clients at ease. She began as an assistant and is now the newest hair stylist in the salon. For the year she's been assisting she have grown and learned to push herself to her fullest potential. She's fun, loving and a hard worker with the desire to be something bigger.